DIY Home Staging Tips: Curb Appeal: How's That Welcome Mat Workin' For Ya? Curb Appeal: How's That Welcome Mat Workin' For Ya? A Realtor pulls her SUV into your driveway, the doors open, her clients step onto your driveway, and they all approach your door. 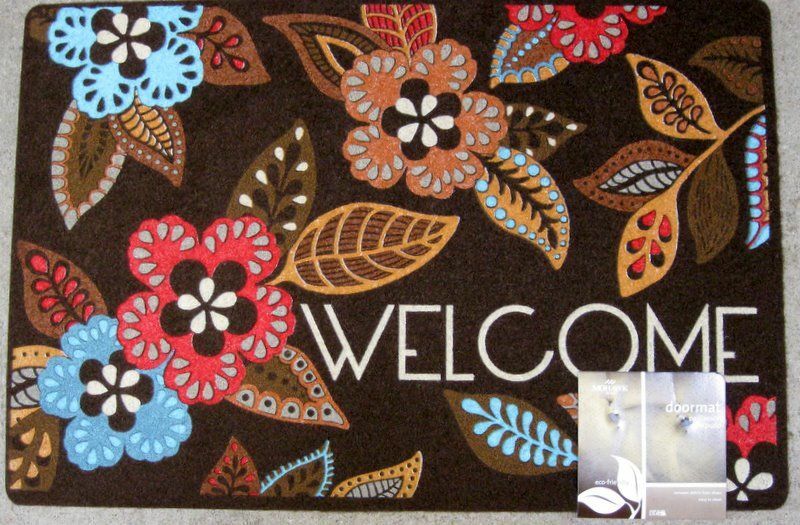 One of the first sights they encounter, the item that holds their attention as they wait for their Realtor to fumble with the lock box, is your welcome mat. How will they rate it? How do you rate it? Times have changed. I could not help but notice the display of welcome mats at Lowe's the other day. I mean, "Hello? What took you so long to arrive, you pretty little underfoot mats that greet me on arrival?" Forget the plain, black mats that look pathetic and depressing on your front step. Forget the natural cocoa fiber mats that shed all over your porch. And definitely forget the ones made of old tires that look like something your grandma gave you! If you think the ones I've photographed here are garish, well, you could be right, but they are also cheerful, fresh, and new. Those are all qualities you want associated with your home on the market. So, take a step outside now, and rate your welcome mat on a scale from from one to ten. If it's not an eight, I'd say spend ten bucks to replace it with a mat that really says, "Welcome!" 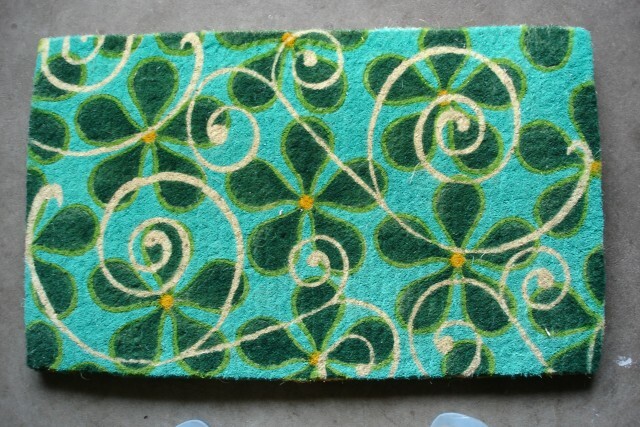 These mats won't last for years and years, but these babies might earn some praise, and help sell your house faster. This mat gets the message across, and the price is a less than nine bucks! 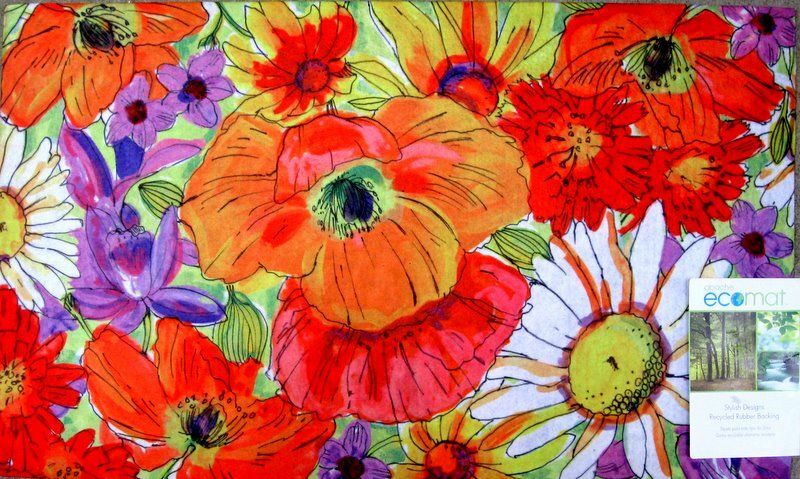 How's this for a giving a colorful first impression of your house? From Lowe's as well. You say you want something a little more classy? You'll spend a little more. Frontgate.com. Depending on the other colors at your front door, this could be the ticket. Cosigra.com. 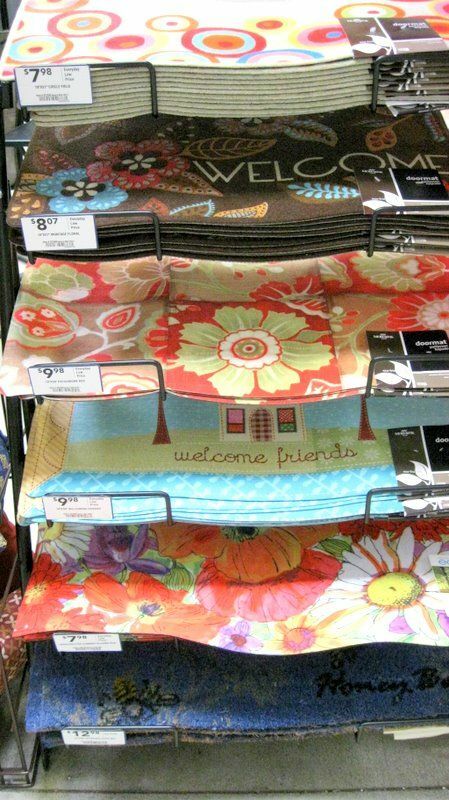 Here are my tips for what to avoid when you set out a brand new welcome mat for house hunters. Don't get something too institutional. It should look homey and friendly. Don't use your initial or name on the mat. Keep it impersonal. Don't advertise your favorite sports team. People have loyalties of their own. No jokes please, like mats that say, "Hi, I'm Mat." or "Not You Again!" or worst of all, "Nice Underwear." Even though a welcome mat may not be visible from the actual curb, what your Realtor and her clients see as they approach your front door is part of your curb appeal. So, get the message right. "Welcome! This could be your dream home!"